Today was our Ulva Island day - which means, lots and lots of birds. That's because it's pretty near predator-free, thanks to the sterling efforts of DoC and people like Sandy and her detector dog Gadget. 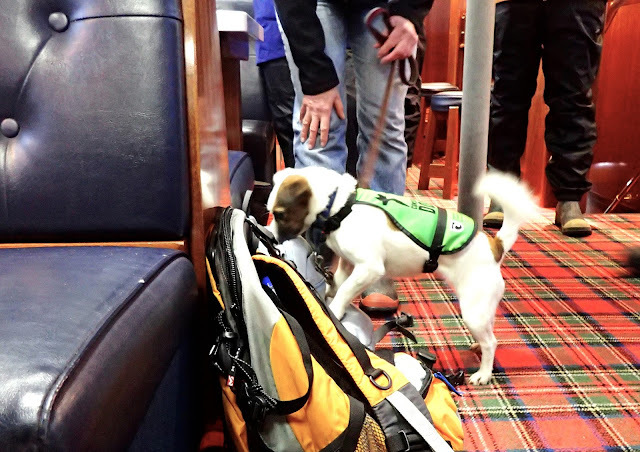 They came aboard the Milford Wanderer to inspect us and our bags before we went ashore, just in case of sneaky hitchhiker rats, and Gadget was spot-on in finding the concealed mouse-droppings that had been hidden for her to find. Not, though, and curiously, the venison bones that Stef the chef hid unofficially. Hmmm. But bones don't kill birds, so let's give Gadget the benefit of the doubt. We split into groups and combed the island, looking for birds and finding kaka, kakariki, saddlebacks, tomtits, cheeky bush robins, bellbirds, tui, obese woodpigeon, yellowheads and fantails - and being found by many curious and opportunistic weka, on beaches, in the bush, and at our morning tea stop. The biggest thrill of the day, though, and the cause of a certain amount of politely concealed envy, was my group's coming across a kiwi just before lunchtime - right by the track, busy poking about for worms and such, and not especially spooked by us standing there with our mouths open, hardly daring to breathe. Of course, just like the leopard in Zambia, my camera was on the wrong setting, so all I got was this blurry, noisy photo. 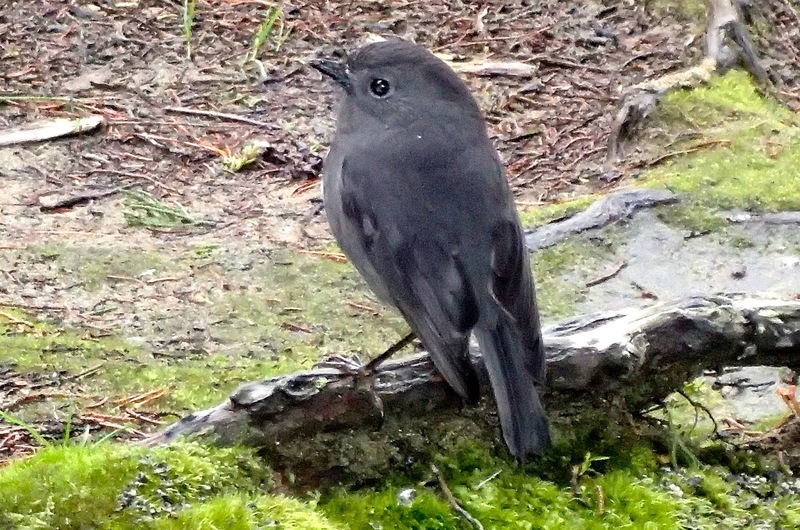 But it's a real, daytime kiwi, I promise! After a huge lunch with three sorts of meats, we headed ashore again for more exploring and a demonstration of the fearsome rat traps that have been so effective on Ulva, and finished up on Flagstaff Hill where the postmaster used to hoist a flag when the post was delivered, so everyone could come flocking from their isolated homes around the bay and have a bit of a social time. For our last night, instead of a talk and slideshow about history or conservation - which we had all found interesting - Richard conducted a quiz that very quickly disintegrated into cheerful argument and was all the funnier for that. I enjoyed it immensely, as did everyone else, and we all went to bed grinning.